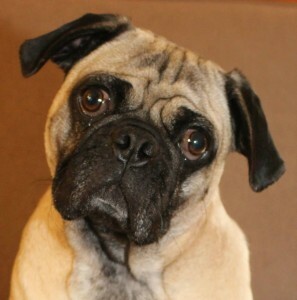 Manny – Adoptable through Pug Partners of Nebraska! 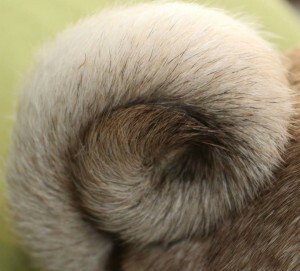 Manny is a two-year-old male pug. He arrived in rescue on 7/11/15. He is a big boy topping the scales at 32.5 pounds. He has adjusted quickly to our home and our three pugs. He likes to be out in the yard, but is equally happy to hang out and play with a couple of toys. He is big, but very gentle. He will make someone an excellent companion. We think he would do well as a single dog or in a multi-dog home. Don’t miss your chance to make Manny a part of your family! Interested in adopting Manny? 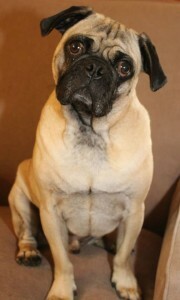 Please fill out an application at: www.pugpartners.com/adoption-application Manny’s minimum adoption donation is $400.